A self-sustaining clockwork generates circadian rhythms inside the cells of most organisms. It is becoming increasingly apparent as we become more independent of the planetary day-night cycle that this internal clock has health implications. When travelling across time zones, circadian rhythms become out of phase with the day-night cycle, causing jet lag. Many live in a permanent state of desynchronisation, or ‘social jet-lag’. This can increase the risk for obesity, cardiovascular disease, type 2 diabetes and cancer. These lectures explore the mechanism governing the clockwork inside the cell, the importance of plants telling time, how our biological clocks are set by the environment and how they become desynchronised, what the best times for physical activity and sleep are, what happens to sleep and health when circadian rhythms and sleep are disrupted, and finally what can be done to optimise sleep. Koukkari, W.L. & Sothern, R.B. 2006. Introducing Biological Rhythms. New York: Springer Science + Business Media. Dement, W.C. & Vaughan, C. 1999. The Promise of Sleep. New York: Dell Publishing. 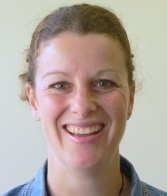 Dr Dale Rae is a Senior Researcher at the University of Cape Town’s Health through Physical Activity, Lifestyle and Sport Research Centre. Her research focuses on sleep and chronobiology – the study of the body’s circadian (24h) rhythms. She is particularly interested in how sleep is associated with health, disease and obesity, and the relationship between sleep, the body clock and physical performance. Dr Rae and two fellow sleep scientists developed and run Sleep Science at the Sports Science Institute of South Africa (SSISA), whose vision is ‘a healthy nation through sound sleep’. Sleep Science allows Dr Rae and her team to put their research into practice through offering services to the public to help people assess and optimise their sleep, as well as offering various sleep education platforms such as talks, workshops and online courses. Rageema Joseph is a PhD student in Molecular and Cell Biology at UCT. She is investigating clock-regulated immunity in Arabidopsis thaliana.